Inside The Lab - Dr. Wolfgang Korsch Lab from UK College of Arts & Sciences on Vimeo. Wolfgang Korsch’s, professor in the Department of Physics & Astronomy, research interests are focused on the understanding of the structure of nucleons. 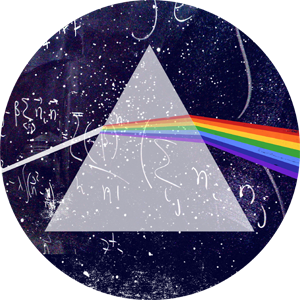 The fundamental theory of strong interactions is Quantum Chromodynamics (QCD). Testing the features of QCD at all relevant distance scales is one of the most exciting topics in modern nuclear and particle physics. His lab focuses on answering questions such as: "How do strange quarks contribute to the charge and magnetism of the nucleon?" and "How do quarks, gluons, and orbital angular momentum contribute to the spin of the nucleon?". In recent years, Korsch’s research has expanded to include tests of discrete symmetries in nature. Specifically, the search for a permanent electric dipole moment of the neutron, which is currently one of the most active fields in nuclear and particle physics. Korsch also uses high precision ellipsometry (Faraday and Kerr effect) to study the magnetic and electric polarizability of various systems. This lab, featured here, is working to understand how light interacts with materials in magnetic and electric environments. Ultimately, the methods developed here can be used to probe certain features of Dark Matter.